The sky did not fall because it took me another three weeks to churn out another post. You’re welcome chicken little. 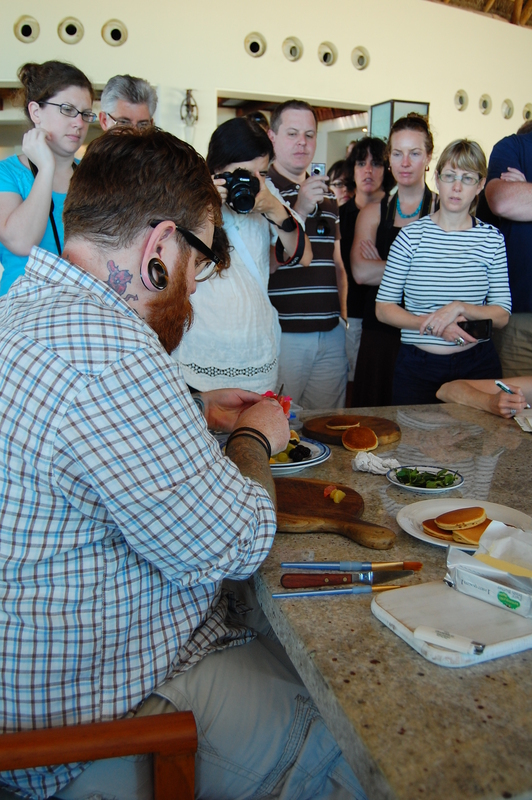 The last day of food blog camp was my favorite. Adam Pearson and Matt Armendariz imparted their amazing food styling and food photography wisdom. Move over Brangelina, this is THE power couple. 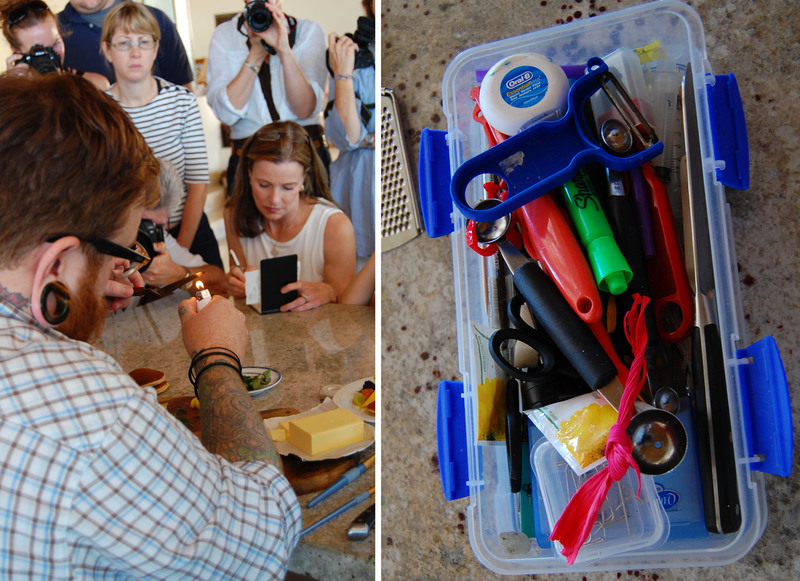 Adam works his magic to prettify food, Matt snaps pics of the gorgeousness. I WANT TO BE A FOOD STYLIST/PHOTOGRAPHER. BEST JOB EVARRRRRRRRRRRRRRR. I felt like a real creep taking pics of Adam and Matt’s food styling goodies but am unapologetic. Marvel at Mr. Pearson’s box of tools. 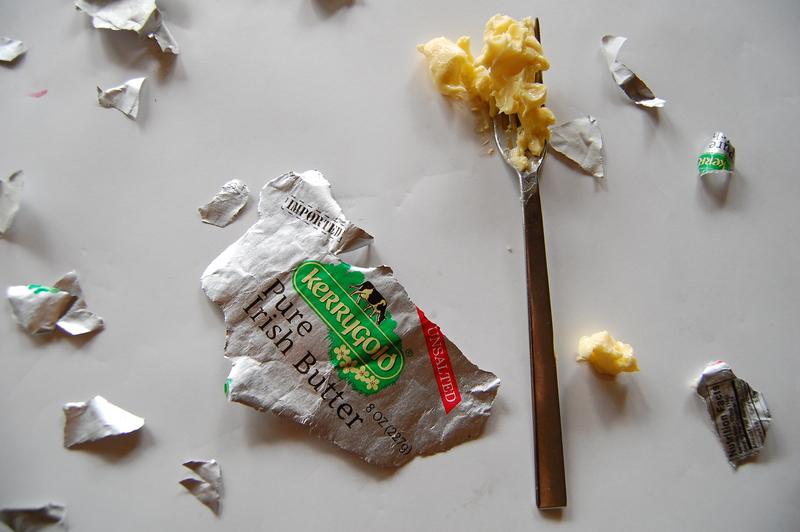 To give butter a beautiful sheen Adam heats up an angled spatula to pass over the top of a pat of butter. Brilliance. Mr. Armendariz with the campers in awe. He shoots tethered. Note to self: must try this. 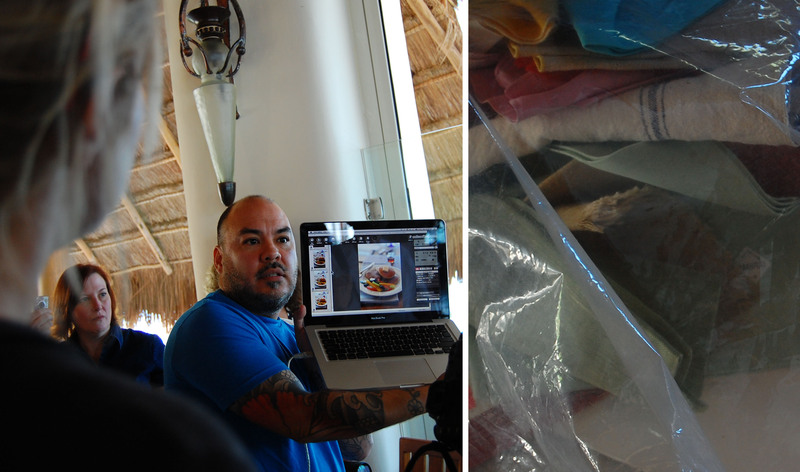 The pic on the right is Matt and Adam’s bag of awesomeness… Textiles for shoots. Wish I had less scruples… Sweet sweet food styling goodies. Le sigh. 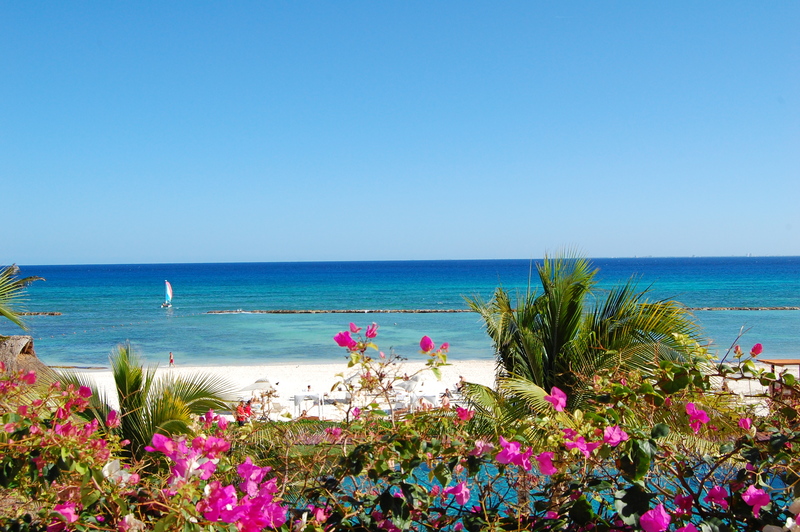 A special thanks to Grand Velas for hosting us at your awesome resort. Superb service. Comfortable rooms. Excellent views. Sweeeet pools. Lots of love for our sponsor, Kerrygold. I LOVE DUBLINER. Drooling just thinking about it. My belly misses the tacos al pastor very much (it’s at the very top of the plate). I came back from 80 degree temps to snow, had to cook my own meals, and clean my own room, and received no sympathy from the husband. Whining aside, FBC was an incredible experience. 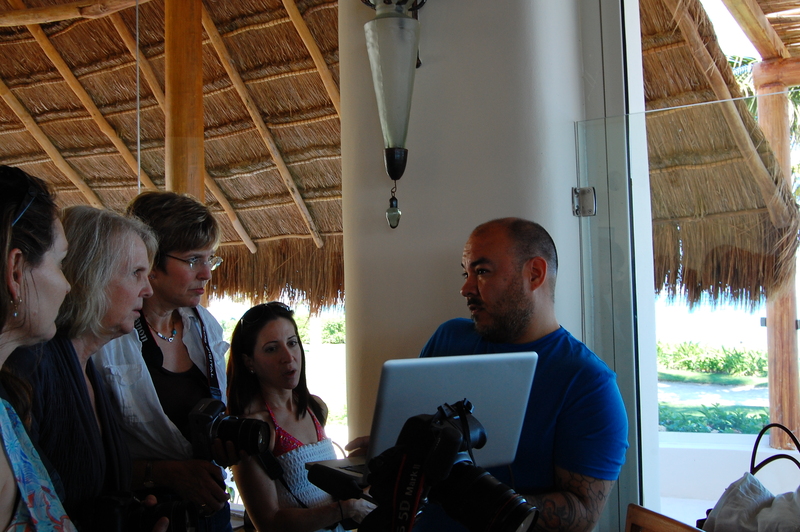 I met amazing bloggers, was inspired and awed, and am so grateful to have been a part of it all. Brings back fun memories! Your photos are gorgeous! 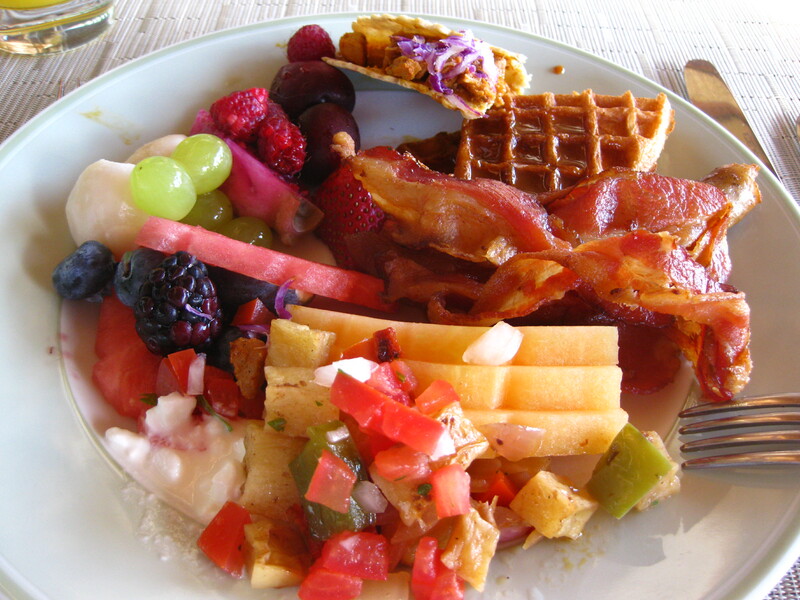 I WANT THAT BREAKFAST PLATE! i mean it. i really wish i had it right now for supper. your pics are gorgeous – i wish we could all teleport back for one more fun day!